Recent work of Alex Locher, Michal Havlena and Luc Van Gool from the Computer Vision Lab at the ETH in Switzerland enables end to end progressive 3d reconstruction. 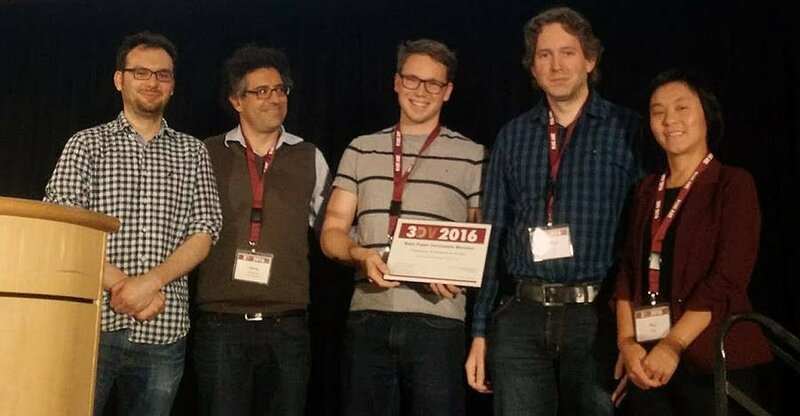 The paper was presented on the International Conference on 3D Vision in Stanford California and won the best paper honorable mention award. Mapping a real-world object into a virtual 3D model is one of the core concepts of the REPLICATE project. The underlying technology is called Structure from Motion (SfM) in which feature points are extracted from individual images of the same object and correspondences are established by image - to - image point matching. The triangulation of these points, followed by an bundle adjustment optimization delivers a sparse 3d point cloud. While these sparse point clouds capture the structure of the scene they are not very visually pleasing and not suited for direct application in AR/VR space. Thats why in a second step, the sparse point cloud is densified and converted into a dense point cloud by a Multiview Stereo (MVS) algorithm.